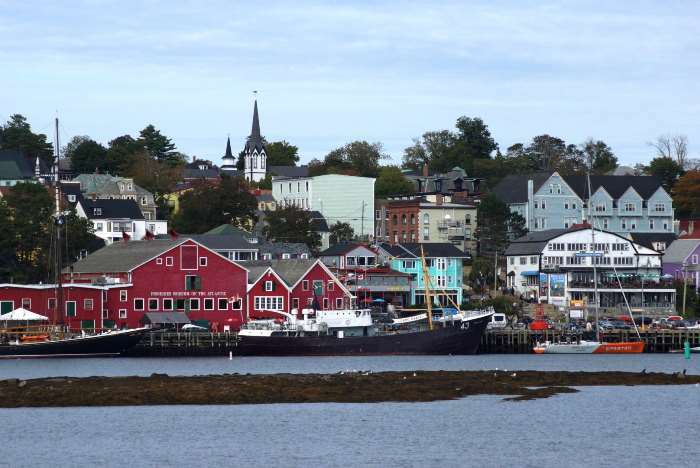 Quaint little Lunenburg is exactly what you expect to find along the Nova Scotia coast: a small town with colorful clapboard houses, boat docks filled with fishing vessels, and church steeples poking out above the skyline. 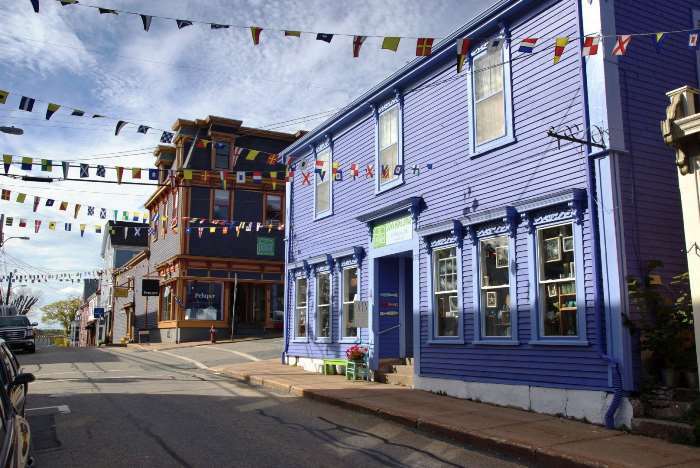 But Lunenburg’s charm isn’t just a ploy to draw tourists — it’s the real, historical thing. 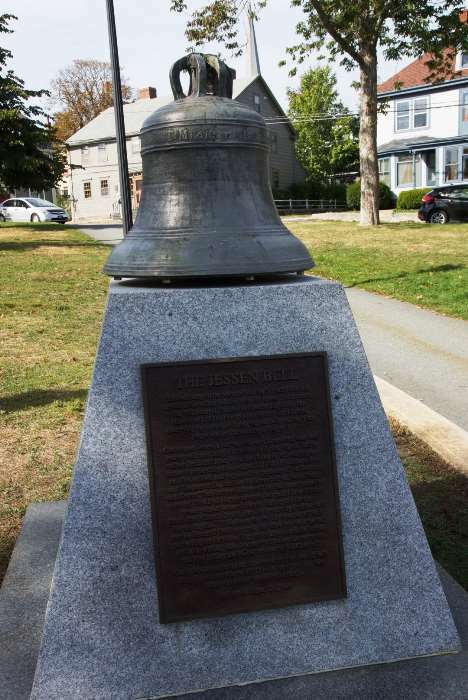 The town is a UNESCO World Heritage Site, recognized as an excellent example of a New World settlement that was planned in old Britain. 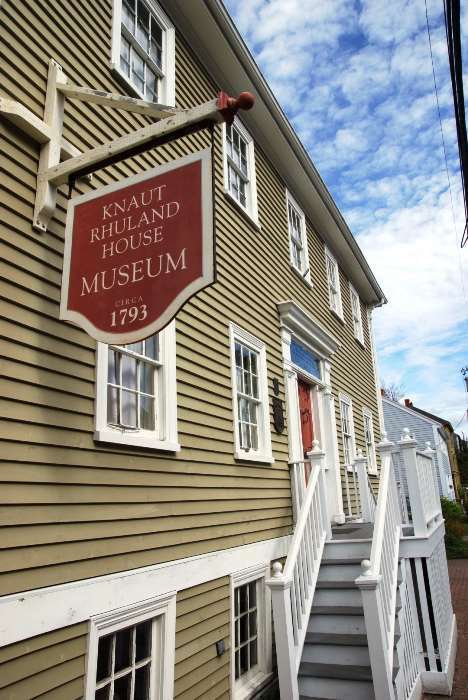 What you see now is what was designed in the 1700’s, with many of the current buildings surviving from the 1800’s. And it will probably feel very familiar to you, because you’ve already seen it in numerous movies, TV shows, and commercials. Sounds like a great place to walk around and explore, huh? 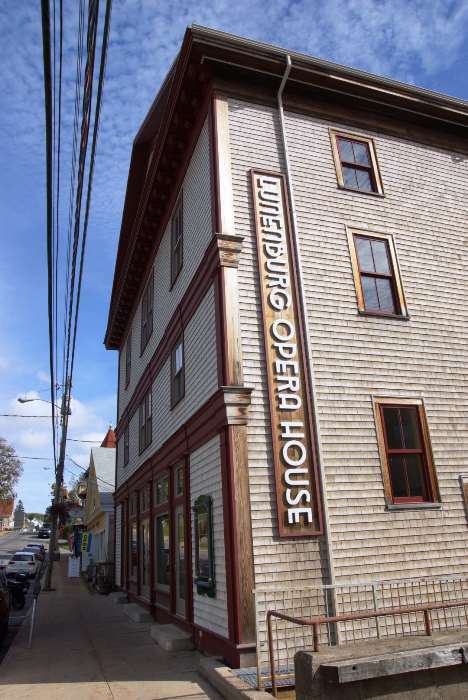 Lunenburg is located southwest of Halifax. From Halifax, you can either take Trunk Route 3 (a slower, coastal route) or Highway 103 (controlled access and mostly 4 lanes). 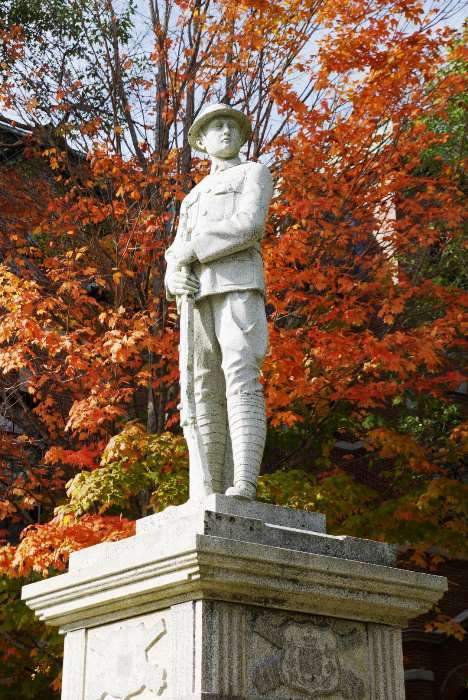 I spent the first half of my day in Halifax, exploring the Citadel and downtown, but I knew I didn’t want to spend my entire day in the city. 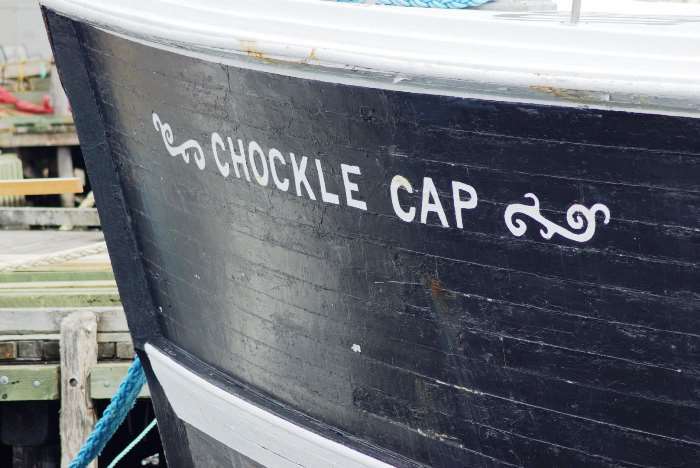 The following day, I’d be headed north towards Cape Breton Island, so I knew I had just one chance to head the opposite direction, and see a place I’d wanted to visit for years: Lunenburg. 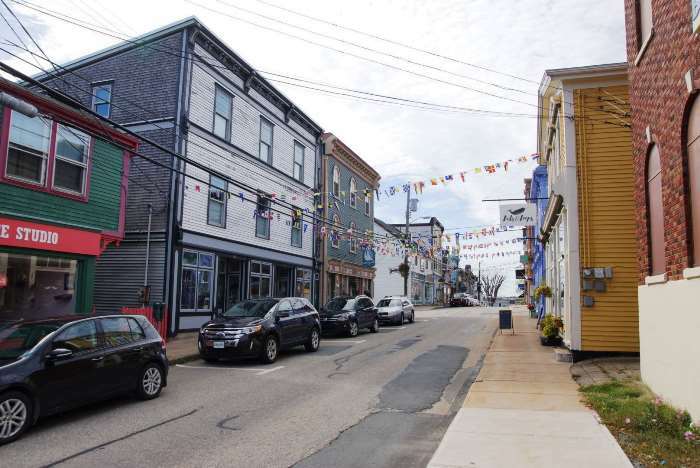 I’ve got to admit, I hadn’t even heard of Lunenburg until roughly 2009, when actress and Halifax-native Ellen Page started showing up in a series of Cisco commercials, which were filmed in Lunenburg. (Here’s a link to one, to refresh your memory.) The town looked beautiful and the people were friendly, so I added it to my list. It took seven years, but I finally got there. I found a parking spot (which can be somewhat challenging) and put a couple of hours on the parking meter, then started walking. 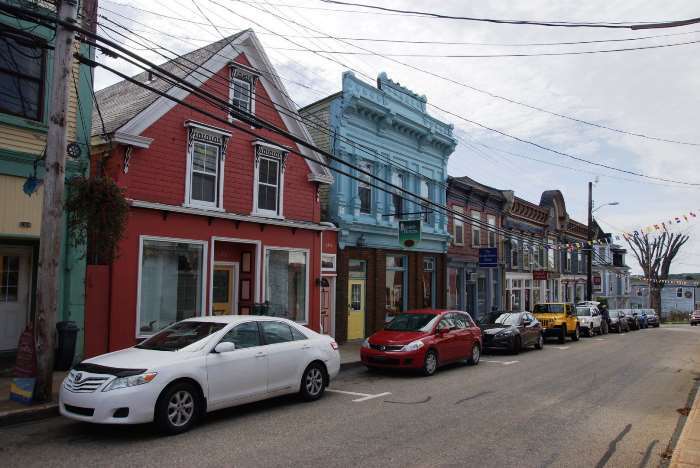 Lunenburg’s main street is Lincoln Street. 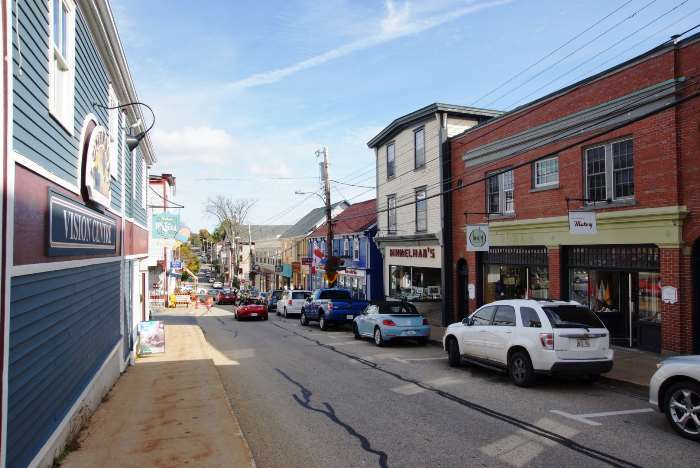 It’s three blocks uphill from the waterfront, and most of the town’s businesses have storefronts on Lincoln or the next street down, Pelham. The streets are narrow and one-way, and are very photogenic, although the parked cars and power lines do get in the way. While the old town will likely be packed with tourists, many of the businesses still cater to the local population. Dollar stores, doctor’s offices, and pharmacies are squeezed in between galleries and restaurants. The only thing I didn’t find – incredibly – was a nice t-shirt/souvenir shop. I looked into many places, but only found extremely high-end artsy gifts. 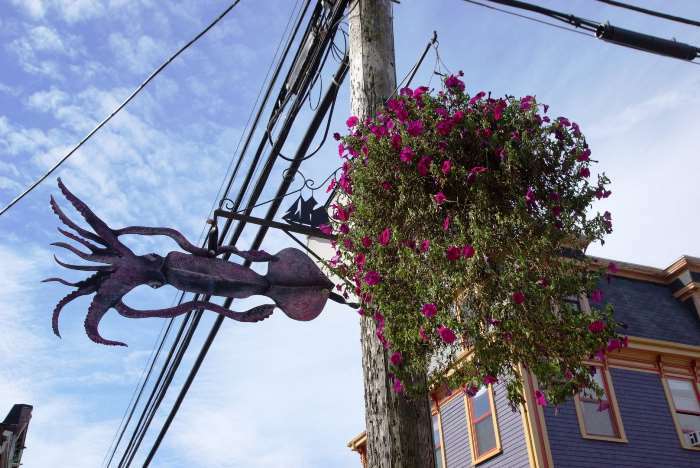 In addition to the colorful buildings, flowers bloom throughout town, and many of the ugly power poles are dressed-up with sculptures, like this squid. 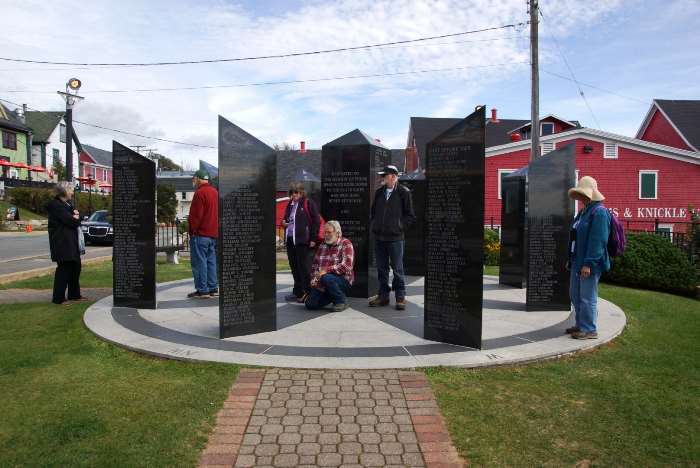 Walk downhill to the waterfront, and you’ll find this memorial, built to resemble a compass, engraved with the names of hundreds of seafarers who lost their lives on the water. 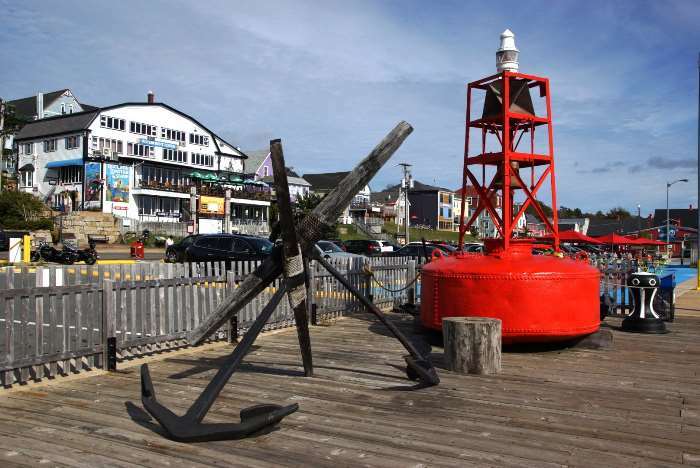 You’ll find an anchor and a buoy on the docks nearby (you can ring the bell on the buoy, causing quite a commotion). 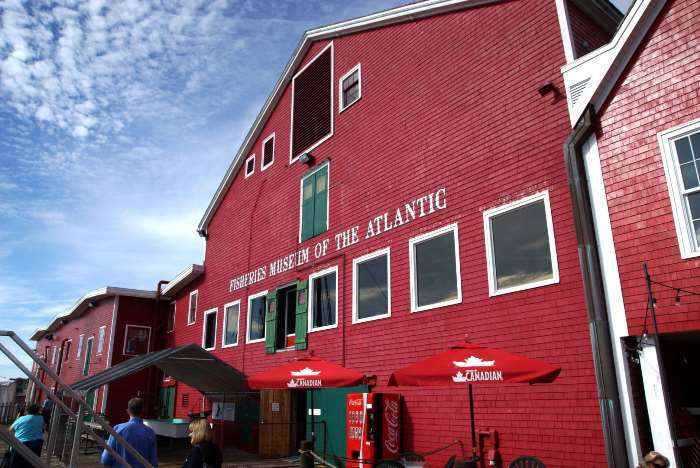 … the Fisheries Museum of the Atlantic. 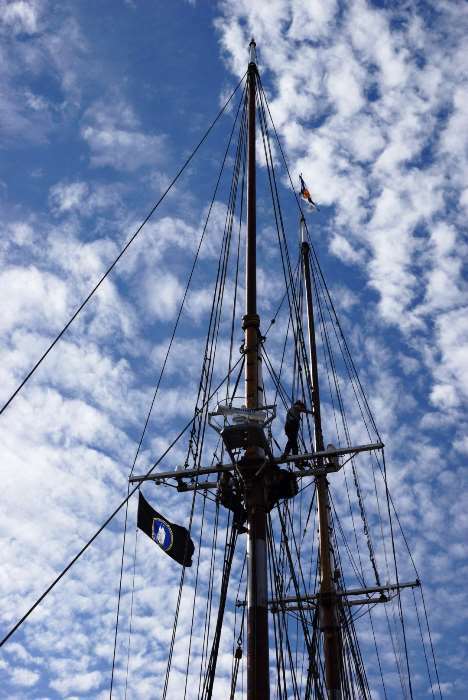 Admission to the museum ($8 for an adult ticket) includes access to two other ships. 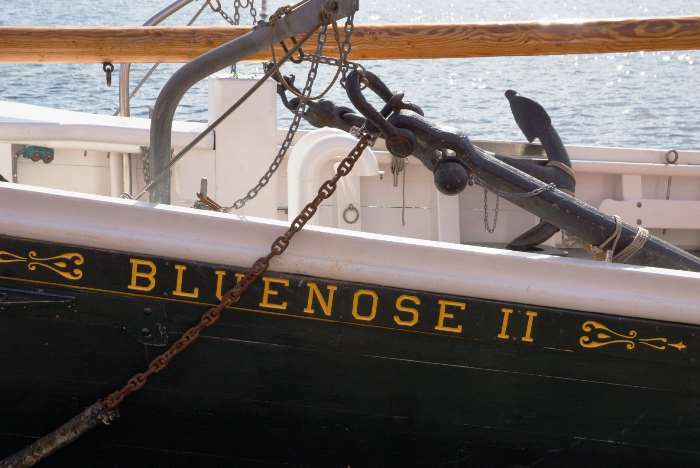 If you’d like to take a ride on the Bluenose II, you can sign up to be a deckhand for a day. The privilege isn’t cheap — $495 — but it would certainly be a memorable outing. And here’s something I noticed as I walked along the dock. 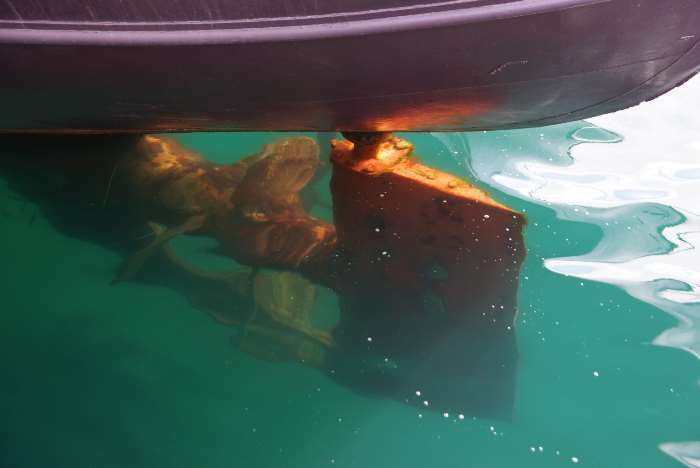 That’s the rudder of one of the boats. It’s underwater. I don’t think I’ve ever seen a ship docked in water so clear, you could see underneath it! 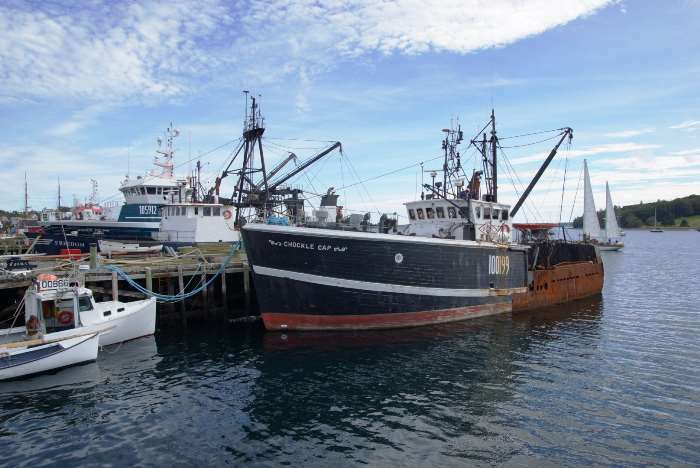 From the docks, I headed back uphill into town, for a little more exploring before my parking meter ran out. 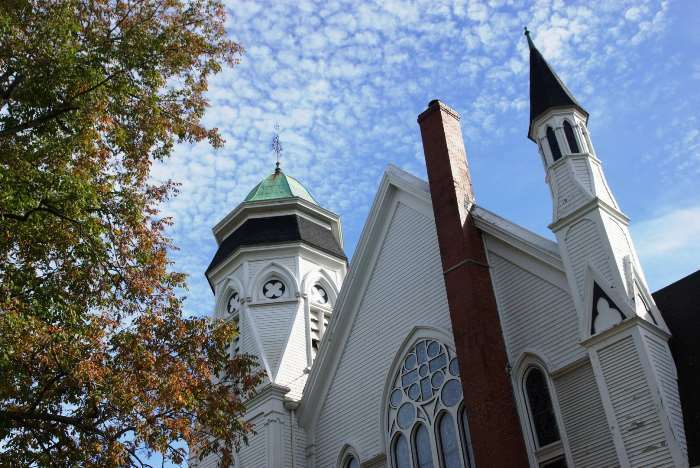 … and you’ll arrive at Lunenburg’s first church. 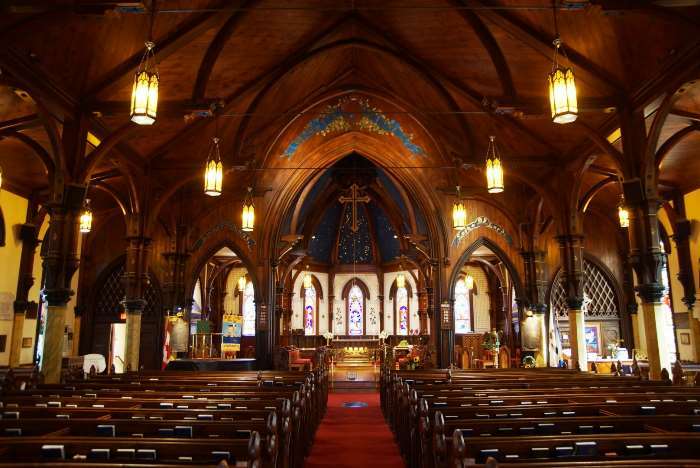 This is Saint John’s Anglican Church, founded in 1753, the same year as the town. 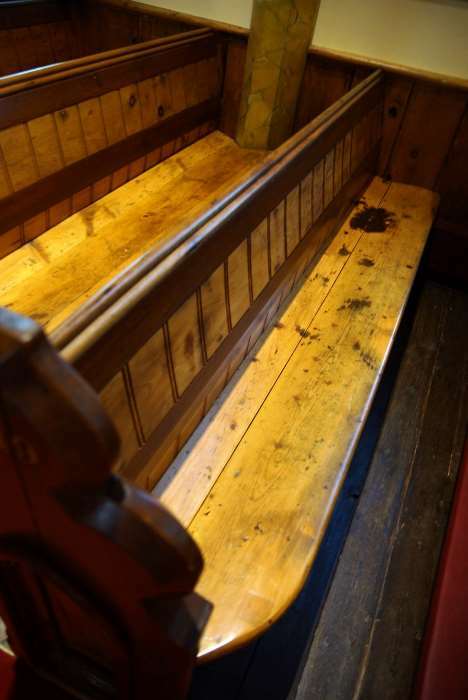 … and the basement is also interesting. 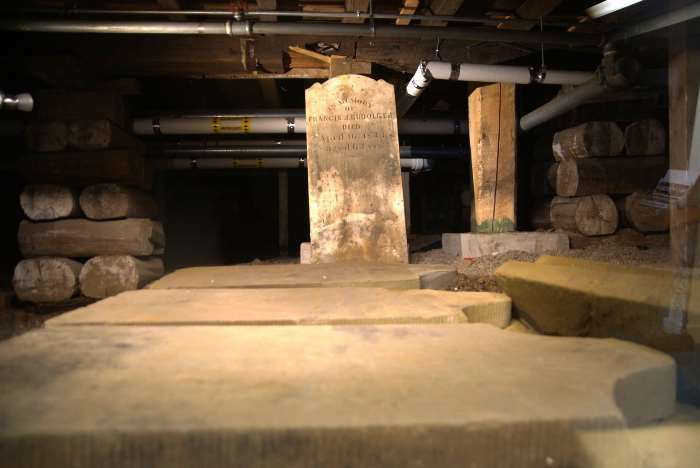 You’re allowed to walk down into a finished portion of the basement and peer through a window at the church’s crypt, which could easily play a role in a horror movie. Right there, below the floorboards and plumbing, are numerous bodies buried under concrete slabs. 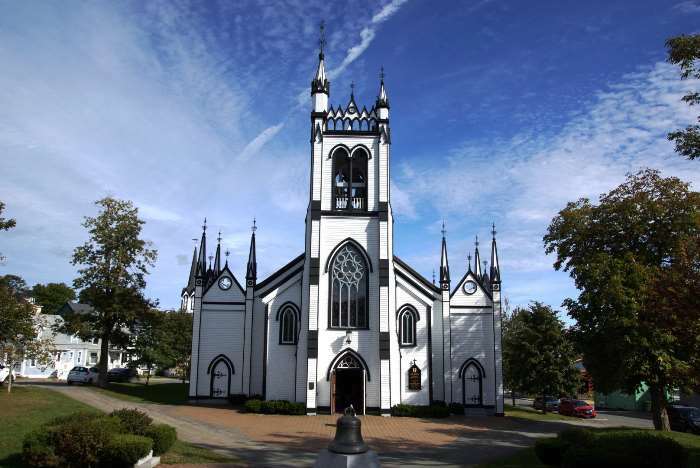 You can easily seek out Lunenburg’s other historic churches. 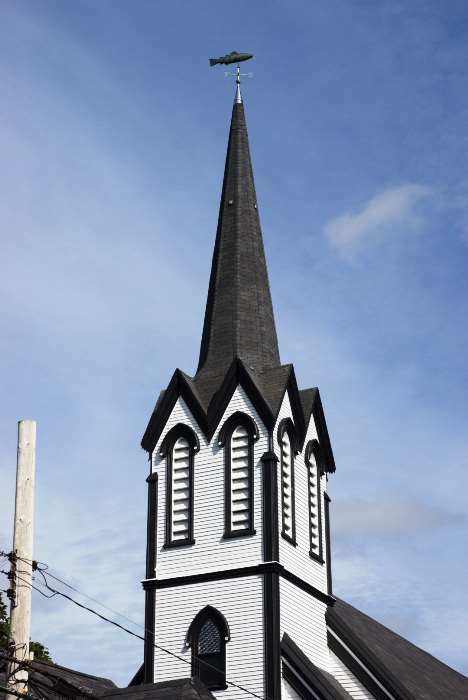 Be sure to notice the weather vane atop the steeple at St. Andrew’s Presbyterian Church. Yes, that’s a fish up there — a 5-and-a-half-foot long hammered copper codfish. 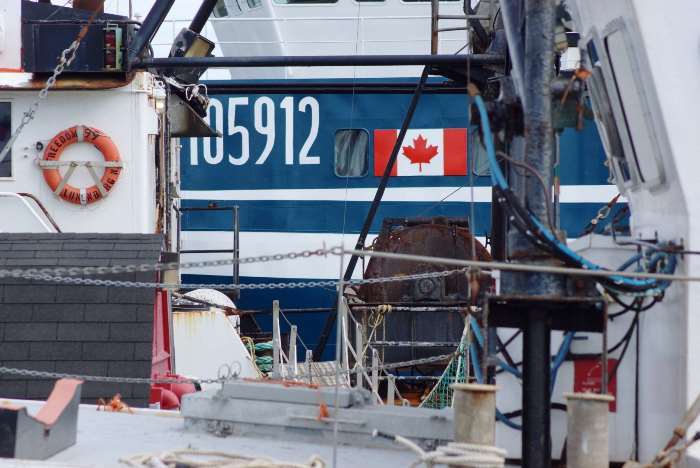 It not only represents the importance of fishing in this town, but also symbolizes Christ, since early Christians often used a fish symbol to represent Him. 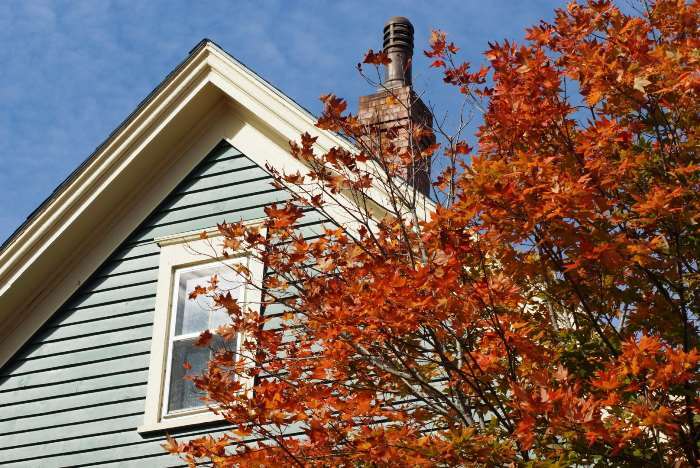 After making a stop in the small park next to Lunenburg’s town hall (and finding just a few leaves that were changing for autumn), my time in Lunenburg was up. 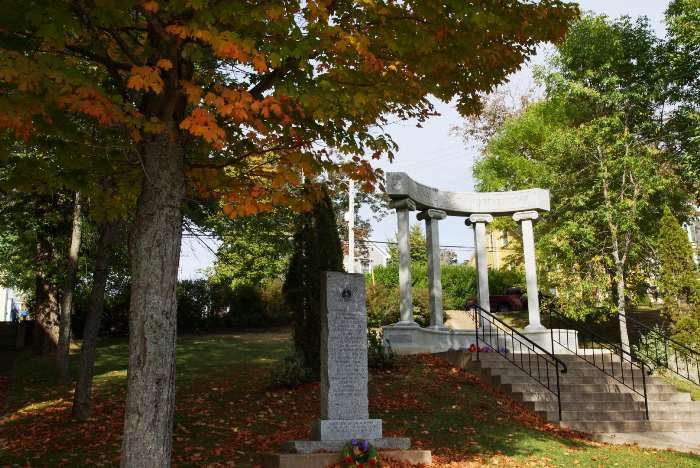 I decided to take the slow route back to Halifax — Trunk Route 3 — which would lead to my next stop, another nearby picturesque town — Mahone Bay. 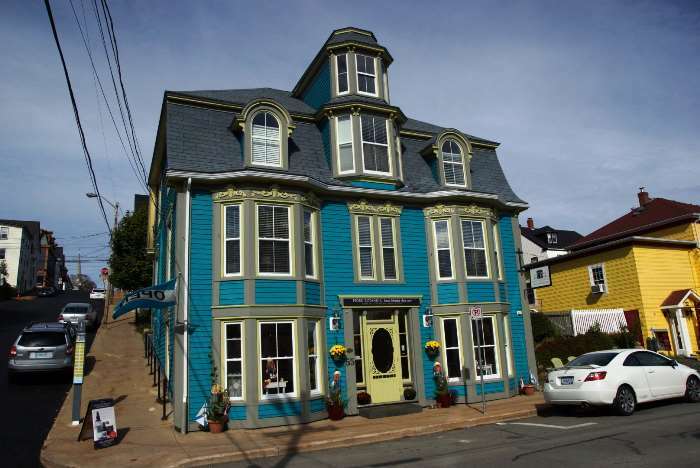 Earlier, I briefly mentioned Lunenburg’s starring role in TV shows and Movies. 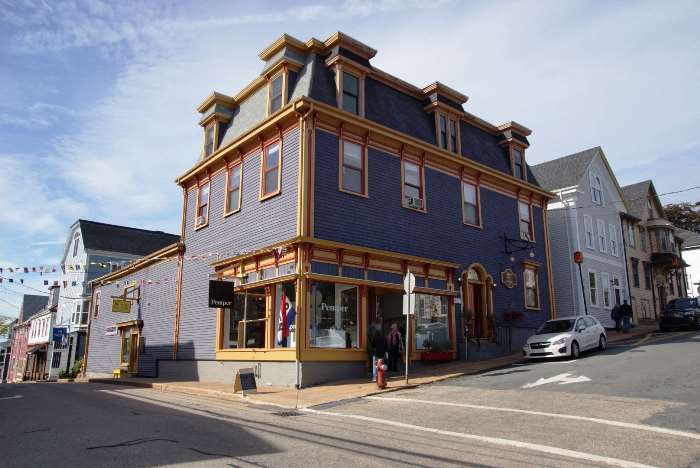 In addition to the Ellen Page commercials, Lunenburg has provided the setting for TV shows like Haven, and movies that include Two If By Sea, Jumping the Broom, Simon Birch, and Dolores Claiborne. 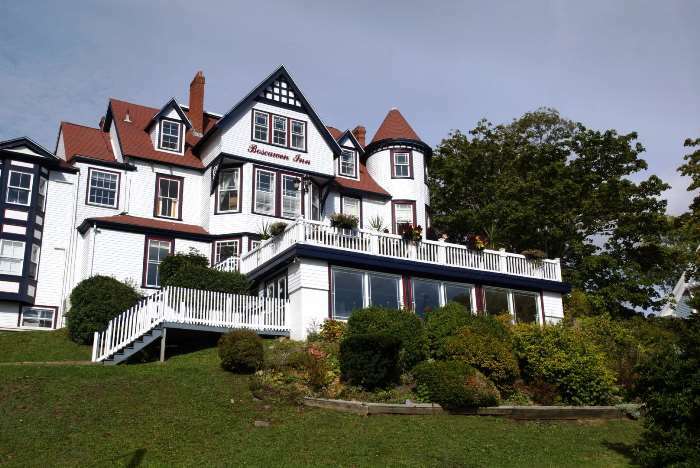 I only spent a couple of hours in Lunenburg, but you could easily spend a day or more here. There are plenty of places to eat and galleries to browse, although there are surprisingly few souvenir stores. 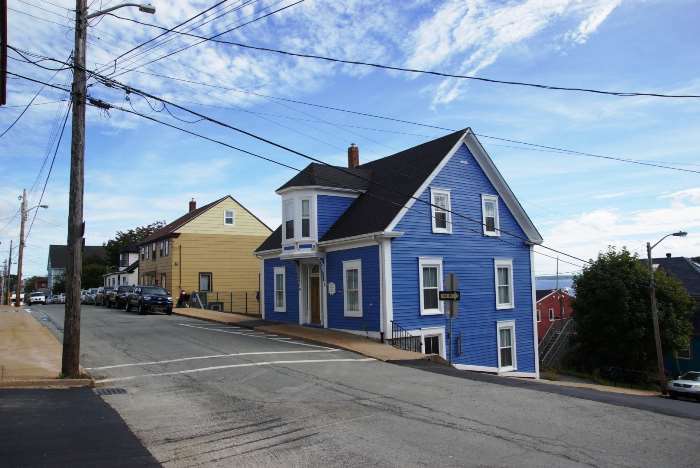 If you have time, take a tour of the Fisheries Museum of the Atlantic. 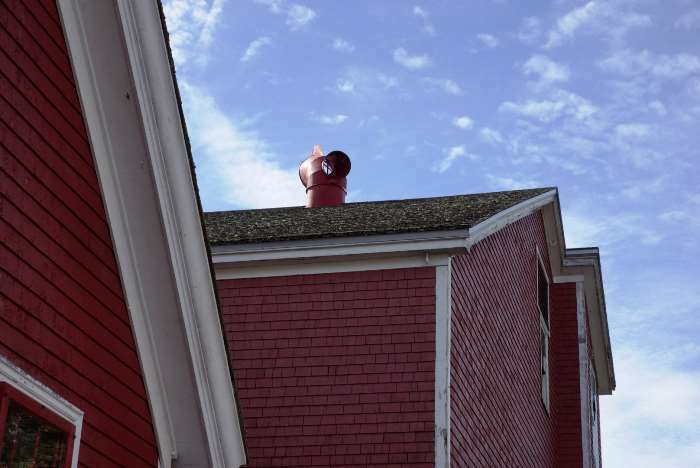 Oh, and don’t forget to drive around Lunenburg Harbour to find the perfect spot for taking a photo like the one at the top of the page!